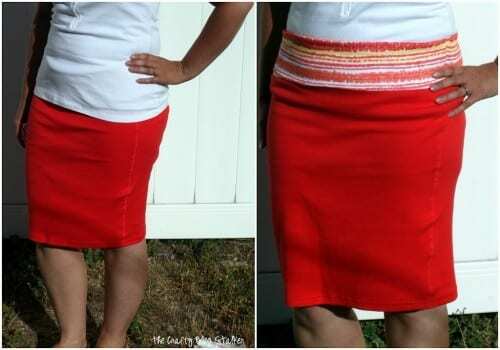 Sew a comfortable pencil skirt with foldover waistband from two tank tops. A simple DIY craft tutorial idea that is perfect for beginner sewers. Don’t you love clearance? Recently, I found these tank tops that were on clearance for $2 a piece. I knew right away that I wanted to turn them into a cute skirt with a foldover waistband. I bought 2, 2XL tank tops. Supplies Used: Links are to similar items that can be found online for your convenience. 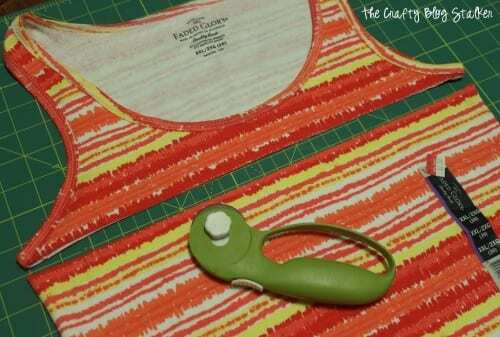 Begin by cutting off the top part of the tank top right under the armholes. Do this to both tank tops, this will leave you with two tubes. For my skirt, I used the solid tank as the body of the skirt and the stripe patterned tank as the foldover waistband. But you can arrange however you like depending on the tank tops you purchased. 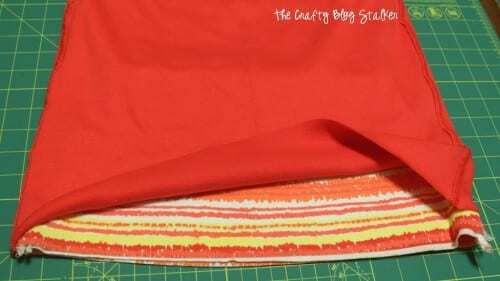 Starting with the piece for the waistband, cut the length of the tank top base to 16 inches. 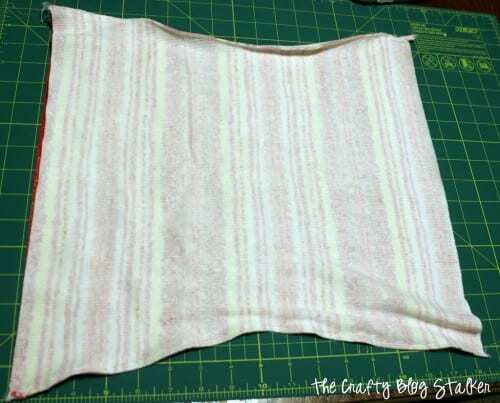 Line up the edges of the tank top base along a straight line. Measure 8 inches down and 2 inches in and mark with a dot. With a straight edge as my guide, cut a straight line from each corner to the dot. I did this on both sides and ended up with an hourglass shape, and 2 pieces of fabric. The tank top base now had a front piece and a back piece. With the right sides together, sew the two pieces together along the sides that were cut inward. 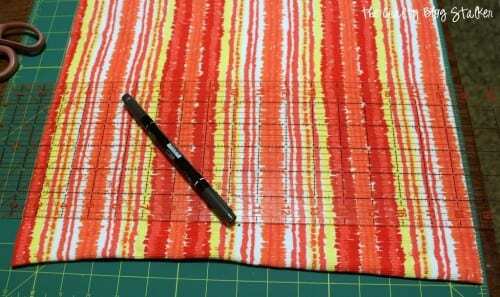 After both sides are sewed together, you will have a tube again. Fold the tube over itself. This is basically your waistband. All we have left to do is sew it to the main body of the skirt. Turn the main body of the skirt right side in and put the waistband on the inside. Match up the raw edges and the side seams. Sew around all of the raw edges and that is all there is to it! You now have a skirt with a foldover waist! This skirt super cute and very comfy! You don’t have to worry about the hem because we used the finished edge of the tank top shirt as the hem. I absolutely love my new skirt and I can wear it with my shirt tucked in or untucked. Not too bad for a $4 skirt! Have you ever made a new DIY fashion item out of a t-shirt? Share, leave a comment below and tell us all about it! SAVE HOW TO MAKE A PENCIL SKIRT FROM 2 TANK TOPS TO YOUR FAVORITE PINTEREST BOARD! And let’s be friends on Pinterest so you can see all the fun DIY projects I’m pinning! What Can You Make with a Vintage Suitcase? Cute skirt! I love projects like this that are easy and fun to make. That is super cute. I’m impressed how patient you are with stretchy fabric! I love this. I’m just a beginner at sewing but this looks like something I could possibly do. I’m going to have to check our Walmart to see if they have cute tanks there. 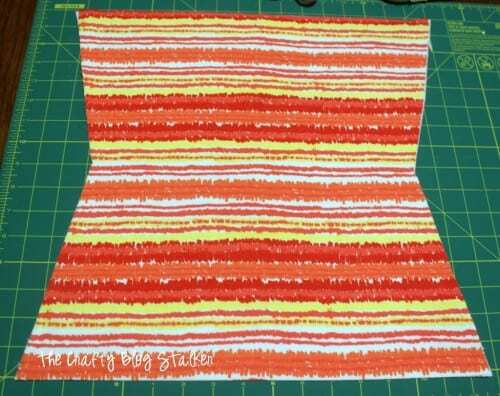 I just stumbled on your blog from a linky party and this is awesome! I always see 2.00 tank tops and this is a great idea. I have 2 girls that are going to benefit from this. I figure my teenager can use adult tank tops and my little one can probably get away with misses tank tops. I love the way you made the waistband. I’ve done yoga top skirts, but never tapered it in like that. Thanks! 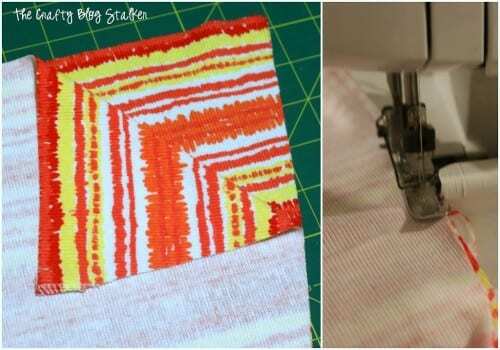 If only I was this creative or could even sew for that matter:) Thanks for sharing at the Teach Me Tuesday Linky Party! This is brilliant! Smart idea clearly explained. Great skirt and tutorial! I love how the colours go together. This is such a smart idea! I know you bought new tank tops to make yours but this would be the perfect project for some old ones I have laying around. Thanks for sharing your tutorial with us at Merry Monday this week! Thank you, Marie! 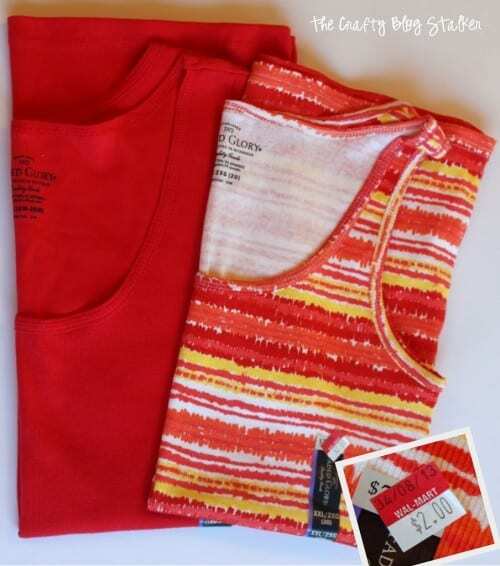 It is a great way to refashion some already owned tank tops too! I’m so glad I could help!